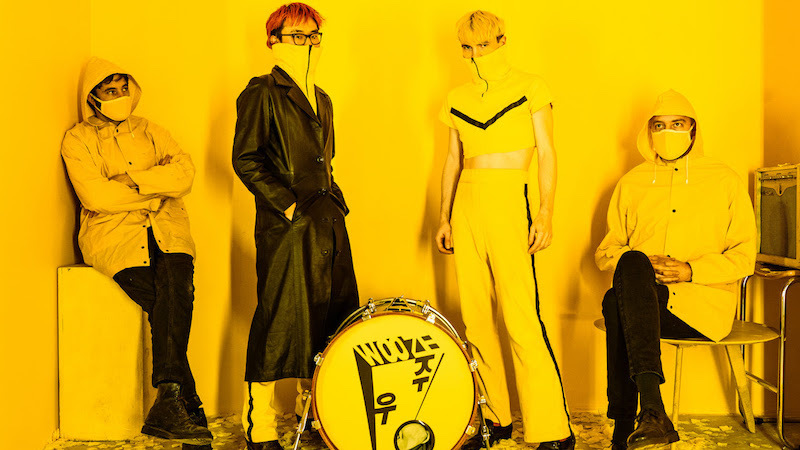 British/Korean duo WOOZE today reveal the next track from their debut EP ’what’s on your mind?’, due for release on Young Poet Records on 3rd May. ‘Cousin Paul From Paddington’, whilst on the surface an ode to London, explores themes recurrent in Theo Spark and Jamie She’s music including memory, loneliness and, to quote the duo “perception from the vantage point of an unreliable narrator”. The track comes with a live video, which saw the band design and paint the set themselves, with Theo handpicking 10 thousand yellow rose petals. In support of the release, WOOZE play an EP launch party at Tamesis Dock on Tuesday 14th May, tickets are on sale now and available HERE.